J.R. Tolkien meets Wonder Woman with serious guilt issues. Blaming yourself for the deaths of your king and queen is bad enough, but Suna Di’Viao truly believes it’s what she serves for failing in her duty to protect them. 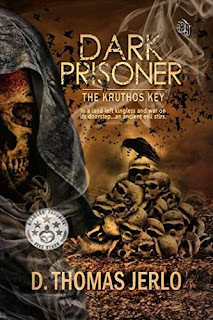 For the last thirty-odd years she’s lived in isolation, until a stranger summons her to take on a quest to find the Kruthos Key, which key can unlock a powerful demon lord’s prison who promised the Diveneans of old who interned him that he’d return and raze the world. Suna’s quest would have been a whole lot easier if she wasn’t the last of her Divenean race. Being paired with Feran Lambert, the youngest General ever appointed to the Guardians and Elite Guards of Dunkerk, certainly wasn’t her idea. He’s cheeky, a womanizer, and self-centered. Worse, he selfishly accepted the quest only to stop his nightmares. How he managed to get under her carefully constructed shields, she’ll never know, but now isn’t the time to lose oneself in silliness like love and become a milksop. Not when Balthazar’s spawn Ilio, and Isafel, a demon under Balthazar’s control is searching for the same object. The race to find the Kruthos Key is on. Who will find it first?